A 12 gauge salute to our foreign visitors! We are always very excited when we see our great competitors and friends from our American trapshooting family joining us on our home turf. We are often honored by the presence of folks from Michigan, New York, Ohio, Pennsylvania and many other States at our Provincial Championship Tournament as well as at some of our smaller shoots. At this time, if you are coming by land or by sea, you only need a passport card, which is now available to you at less than half the cost of a passport and it’s good for ten years. If you are coming by air, you will need a full-fledge passport – the passport card will not be accepted. For the most current information, here is your government’s website: http://travel.state.gov/. For the simple procedure to follow and to understand and get the paperwork you will need to bring your guns into Canada, is clearly explained on Joe Potosky’s very informative and valuable website: http://www.losttarget.com/. The cost right now to bring your firearms into Canada is a flat fee of only $25.00 (Cdn.)! This “pass” is good for 60 days. To our friends from across the pond and around the world, we are very much looking forward to welcoming you to Ontario. We’re pretty sure you will feel right at home here – on and off the trap line! Each of your governments are unique so please check with them, as well as your airlines, to determine the current protocol and the paperwork you require to transport a firearm with you to Canada. The Canadian rules and regulations for bringing a firearm into Canada are quite simple and can be found at: http://www.cfc-cafc.gc.ca/. 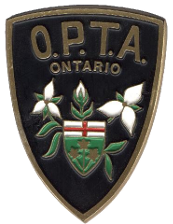 If the OPTA can assist you with your plans to shoot trap in Ontario, please don’t hesitate to let us help! Our contact information is available to you here.